This fantastic family home has plenty of space inside and out and is right opposite a park. Described by the agent as 'SPACIOUS 3 Brm A/C Family Home - Opposite Park', 12 Paskin Street, Balcatta WA 6021 is a 3 bedroom, 1 bathroom House For Rent by Nigel Samuels from P.A. Samuels (1966) Pty Ltd. This property was listed For Rent with a listing price of $345 Weekly. 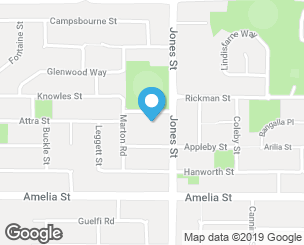 If you're interested in getting in touch with Nigel Samuels regarding 12 Paskin Street, Balcatta please call 0419 988 807 or contact the agent via email.